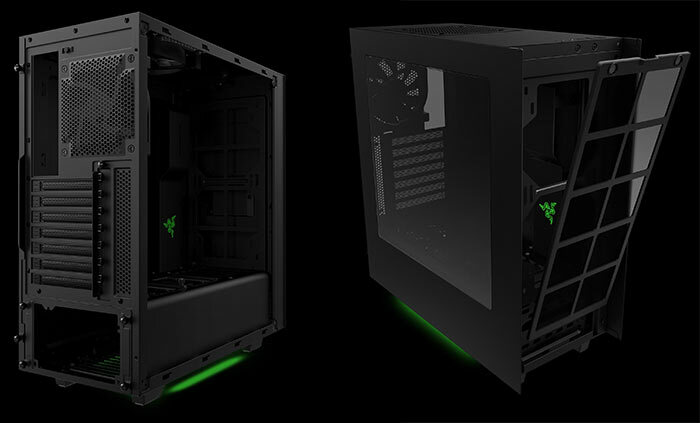 Razer's custom designed NZXT S340 PC chassis, announced in late August, is now shipping. This is an all-steel constructed premium compact chassis with NZXT engineering and Razer design sensibilities. The 'Designed by Razer' edition of the S340 costs $99.99, meanwhile the regular black, or white, NZXT S340 costs $69.99. 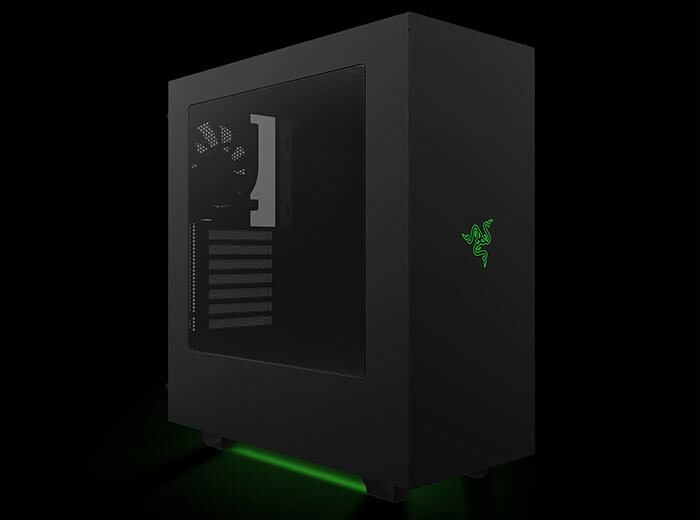 NZXT and Razer previously worked together on the H440 - designed by Razer – PC chassis. 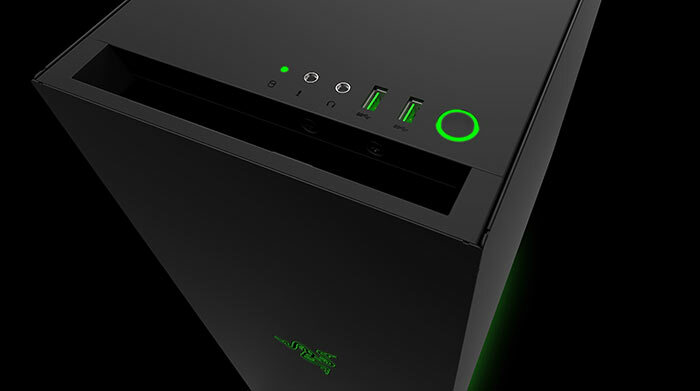 The collaboration was a "great success", according to Min-Liang Tan, Razer co-founder and CEO, and the Razer design team "couldn't wait" to get their teeth into another project with NZXT. Interestingly the latest collaboration is based on the NZXT S340, a lower cost alternative to the NZXT H440. HEXUS has reviewed both the NZXT S340 and NZXT H440 in their non-Razer custom design livery and both won HEXUS Recommended awards. The CEO of NZXT, Johnny Hou, was impressed by the input from Razer, stating that "Partnering with their team of gaming-minded engineers and industrial designers has helped drive us internally to push the boundaries of what is possible inside a PC case". So what does the 'Designed by Razer' marque add to the already well regarded NZXT S340 chassis offering, for the extra $30 outlay? Looking through the respective spec tables, the NZXT S340 - Designed by Razer - seems to weigh a bit more, its 7.29Kg rather than 7.05Kg. Other than that the tech specs tables are identical, if not in layout but in content: specs such as fans/filters supplied and installable, maximum compatibility of GPUs, PSUs and CPU coolers, cable management and drive bays all match up. Please note that the S340 of any type doesn't feature built-in ODD provision. 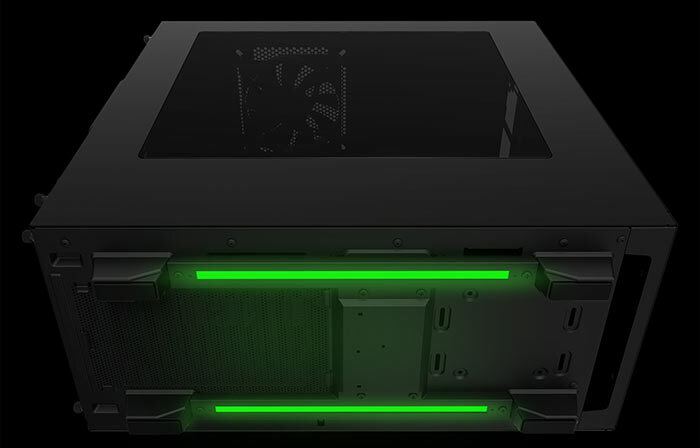 So it must be concluded that the extra 210g of chassis weight is due to some of the Razer chassis frills which include; "a backlit Triple-Headed Snake logo, tinted window, illuminated LED power button, underglow, and green USB ports". 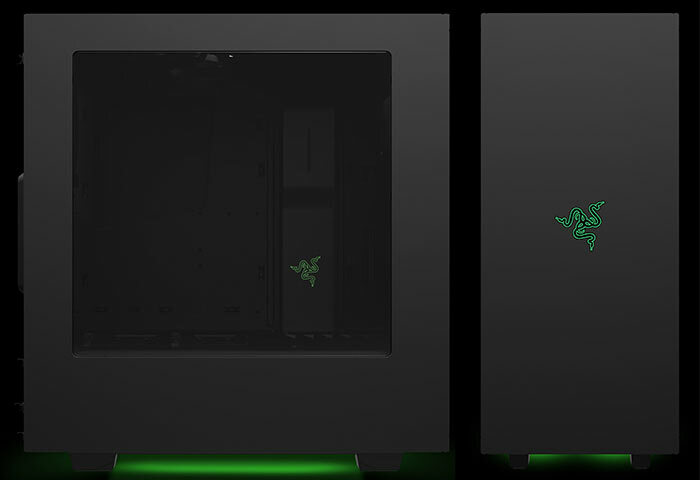 Looking for further product differences I found mention of a "Cable management bar with Razer’s triple-headed snake logo," on the Razer blog post about this chassis. The LEDs can be switched off via a button on the back of the chassis. Full chassis specifications, further details and product purchasing options are available on the official product page at the NZXT Armoury store. The only reason I'd buy this is so I could be amazed at a product Razer made that couldn't fail electrically. Although knowing them the ports will break any device plugged into them..
Too bad, Linustechtips uploaded a review this morning, where they stated they managed to break the wires to the front illuminated logo during the review build, commenting that the wires are super thin. I'd buy this if it didn't come with the razer logo. Love black + green. Perhaps there'll be another “collaboration” where nVidia brings its extensive know how about case design into play.